Joe practices in the firm’s Construction and Real Estate groups. Joe has extensive experience in lean construction, a practice designed to maximize value and minimize waste throughout the construction process, and with integrated project delivery (“IPD”), a process uniquely suited to put lean construction principals into practice. Joe has consulted on multi-million dollar developments across the nation, incorporating IPD as a means to delivering value to all phases of design, fabrication and construction. Aside from IPD, Joe is highly experienced in developing and revising contract documents and procedures and has negotiated and closed on numerous construction contracts, joint venture agreements and subcontracts. An Australian-based construction manager in its IPD projects in the U.S.
Owners and developers throughout the U.S. engaged in IPD projects. Major medical centers and hospital/health care networks throughout Ohio and Kentucky. 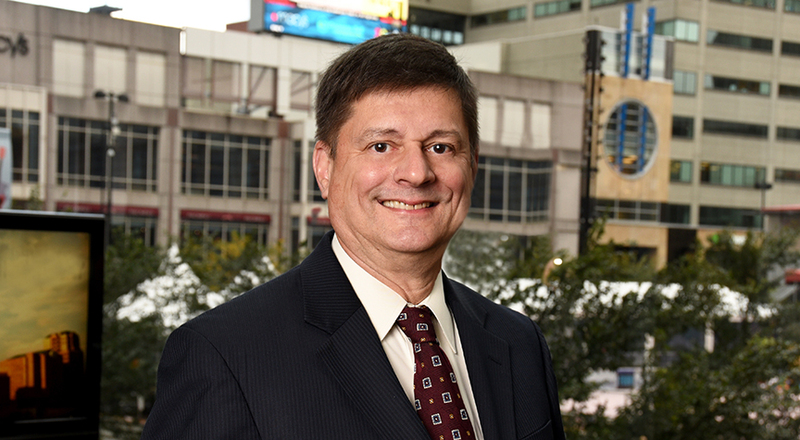 Joe is listed in Best Lawyers in America and was named “Lawyer of the Year" in 2013 for Cincinnati Construction Law. He has also been named a Fellow of Construction Lawyers Society of America. He is currently serving a two year term as chair of the Cancer Support Community board. Joe is a past board member and former chair of the Thomas More College Alumni Association and served six years on the board of a local ministry-based, non-denominational social service agency, including three years as its chair. Representing a major medical center in Omaha, Neb., on a $350 million construction renovation project using IPD. Consulting with an owner for a $45 million high energy efficiency apartment development in Kansas City using IPD. Advising an international construction manager on a $160 million office project in California using IPD. Representing the owner and facilitating the implementation of integrated project delivery for a $35 million senior living facility. Representing and coaching the design team and negotiating contracts for the implementation of IPD for a $100 million dollar facility for a major Greater Cincinnati medical center. Contract negotiations with a construction manager for a $50 million dollar expansion by a Greater Cincinnati medical center. A master construction manager agreement between a Greater Cincinnati medical center and a large construction company for continuing services on core hospital projects. Standard form construction contact libraries with extensive customized revisions of numerous project delivery systems for two major medical centers in Greater Cincinnati, a major regional design-builder and the Kentucky branch of a significant religious organization. Contracts for a $48 million dollar residential village at a major state university in Ohio for a design-builder, including a joint venture with a residential builder.